​There were private Schools in Patea before the Patea Public School opened in 1875 on Egmont St. Corporal Keiler opened a small School on the Beach in 1865 when it was a military outpost during the Land Wars. Mrs Morrison opened another Private School on the Beach in 1867. Neither of these Schools would have had many pupils, and they would have been children of the soldiers who had their wives stationed there with them at the time. We also know that two men operated supply stores on the Beach at this time; Mark Locker & William Sergeant, had children that went to these early school’s on the often bleak, wind blown location. A Public School also began on the Beach in late 1867, with military man Captain Alfred Palmer appointed teacher, pupils fees were supplemented by the government. Unfortunately, he was killed at Te Ngutu o te Manu in 1868 & this school folded. Mrs Hollis opened a ‘Select Day School’ in September 1887 on Leicester St, in the building previously occupied by Barton Knight Solicitors. Mr Frederick Gush opened a private School for Girls & Boys around 6 May 1887 called ‘Cumberland House’. By 14 February 1889 the name had changed to ‘Surbiton Villa School’. He started on Hadfield Street, then later moved to Meredith St. He also offered night school classes. 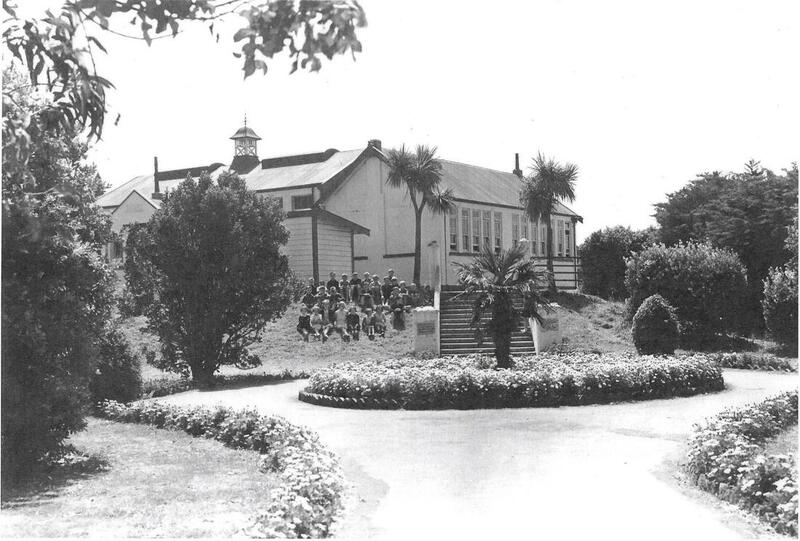 By June 1895 Fred Gush was teaching only boys from premises on Victoria St.
Patea Public School (later known as Patea Primary School) opened in 1875. It first took high school students in 1901, and on & off over the following years until the new High school on Kent St was opened in 1960. There were some years before 1960 when low numbers of senior students didn't warrant classes being held at Patea, so they got the train to Hawera High school. 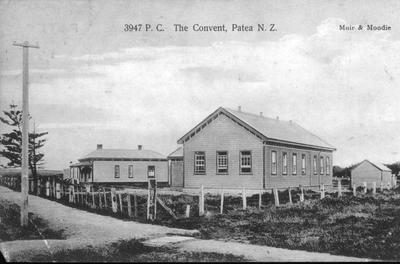 Buildings at the Patea Public School grew from four classrooms in 1875. In 1913 a brick building replaced this one. In 1921 gates and steps were erected and the Memorial Avenue planted in memory of pupils lost in the First World War. In 1922 baths were opened and in 1931 the Dental Clinic came into use. a new infant school was opened in 1955. In 1972 this became the main school when the ‘open plan’ infant block was erected. Extra resource area, and a speech clinic were added in 1977. Patea Primary School, as it was later known, closed at the end of 2004. 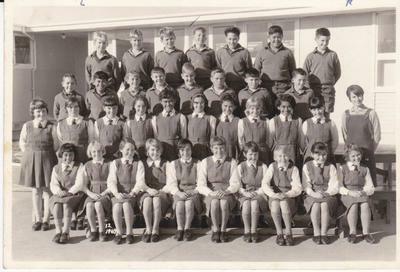 At the beginning of 2005 Patea High School incorporated primary school students to its roll & became known as Patea Area School. St Patricks Convent School was opened in 1904, by 5 Sister’s of the Order of St Joseph with a roll of 90. In 1967 it lost its Form 1 and 2 pupils along with the other primary schools, they were sent to the new High School. A new classroom, library and sick bay were added to the original building in 1980.